After he was shot, the injured boy was grabbed by Israeli soldiers who thrust him into a military vehicle and took him to a military base in Israel. 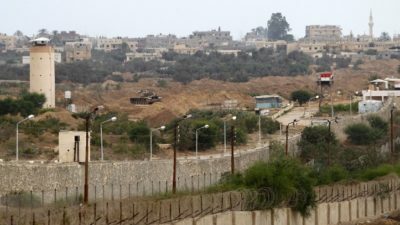 The Israeli military claimed that Issac and two other children were attempting to escape over the border fence when they were shot. When the incident occurred, one of the teens suffered fatal injuries when he was shot. The Israeli military reported that Issac suffered “mild injuries” after he was shot at close range by their sharpshooters, and the third boy was taken onto custody without reported injury. His parents were informed on Sunday that Issac had succumbed to his injuries. It is unknown whether further injuries had been inflicted upon him while in Israeli military custody due to “harsh interrogation”/torture. Injured Palestinians detained by Israeli forces have frequently reported that Israeli forces torture them while in custody. On the same day that Issac was killed, a 14-year old Palestinian boy was found, after his family had reported him missing for three days, in an Israeli prison. Ramez Tamimi, 14, was kidnapped by Israeli soldiers from his village, Dir Nitham, north of the central West Bank city of Ramallah, and was eventually found in ‘Ofer’ prison, and his family was never informed.